How do I introduce the Montecristo No. 2? Anyone with even a few months in the cigar world will know that, among Cubans, the Monte No. 2 is one of the most recommended and revered. 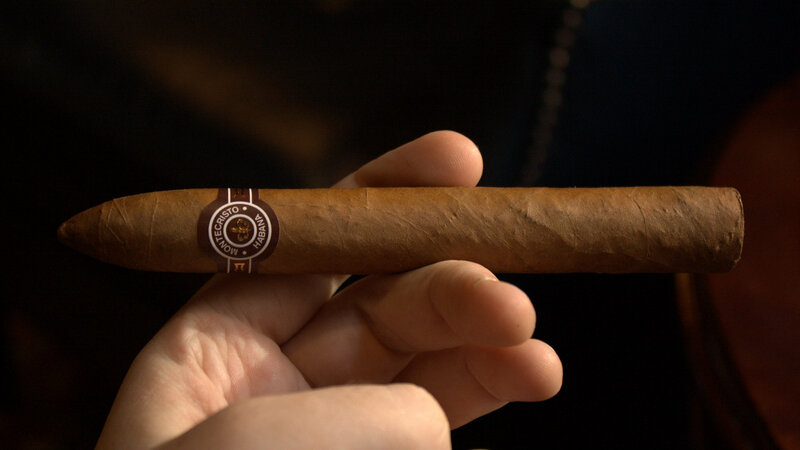 The purpose of this review is to find out: is the Montecristo No. 2 really that good? For those of you who hate reading, my answer is an unequivocal “yes.” Read the review below to find out why. 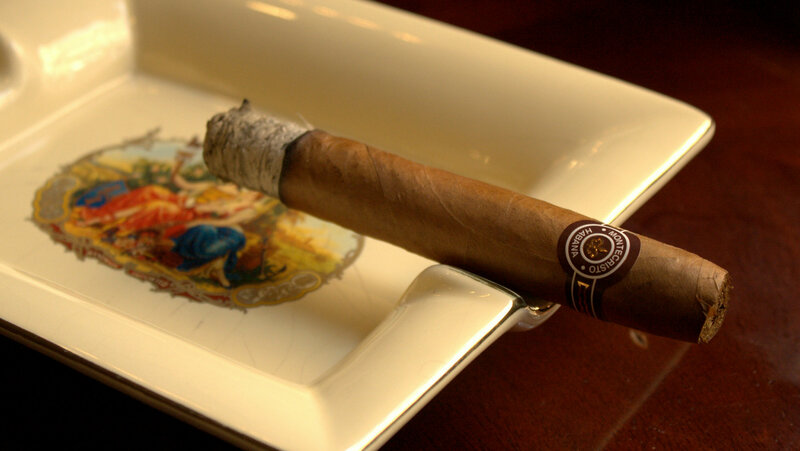 The Montecristo No. 2 is slightly springy to the touch. I love how the band features a metallic, reflective gold insignia. Certainly is very different from the Montecristos most people are smoking from Altadis in the states (though they have their own well-branded cigars as well). The Cuban wrapper is a light, cedar brown. The pre-light draw reveals sweet notes of cocoa, earth, and touches of spice. As I toast the foot, the smoke that is released from the foot of the cigar smells intensely of almonds breadiness, and cinnamon. On the first few puffs, I’m greeted with extremely smooth smoke that carries with it the almond and cinnamon notes from the foot, along with the spice from the pre-light draw, some oak, and touches of salt. The draw is neither loose nor restrictive, just right in the middle. Smoke production is great. By an inch in, I’m really amazed at how cool, smooth, and fine the smoke is, even while offering a tremendous amount of flavor. Added in to the mix is a subtle oak and oatiness. Moving into the second third, the body climbs from mild-medium to solid medium. The flavor has changed too, introducing a subtle salty/savory note. Still solid medium. Construction has been nearly flawless. 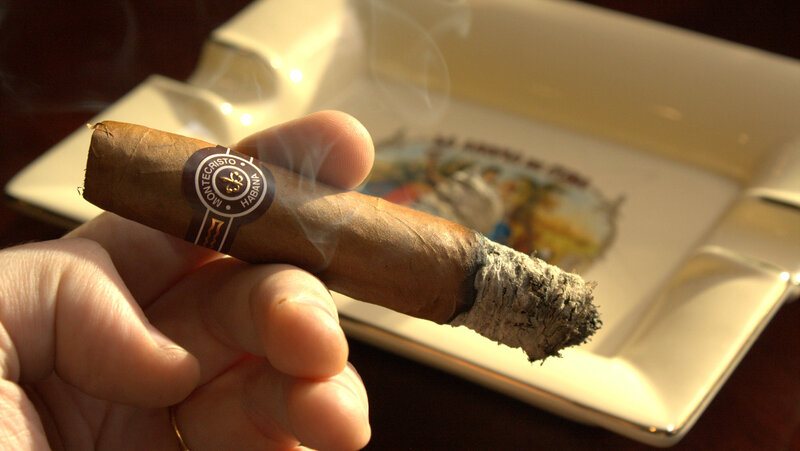 As I move into the final third, the body picks up once again, moving the Montecristo No. 2 into solid medium-full bodied territory. The oak has shifted to a sharper, drier cedar note, and the spice has morphed into white and black pepper. Half an inch after that, body and strength increases again into a solid full. I smoke this cigar down to the nub. 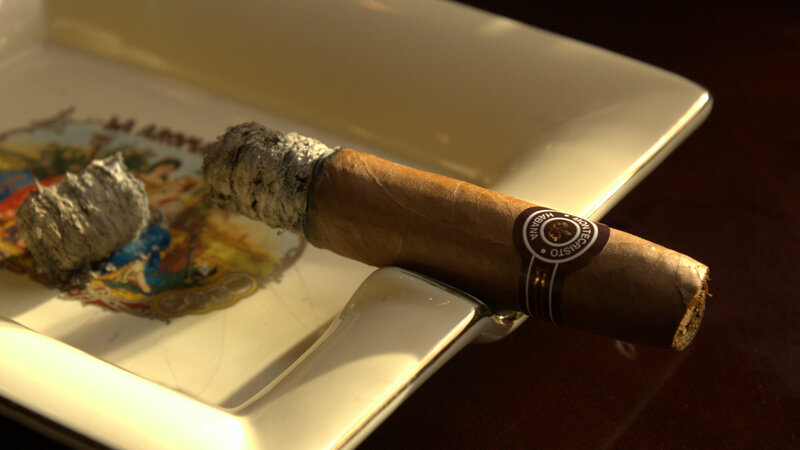 Smoking the Montecristo No. 2 is a revelation. It presents an experience that every cigar smoker, from a beginner to a veteran, will love. 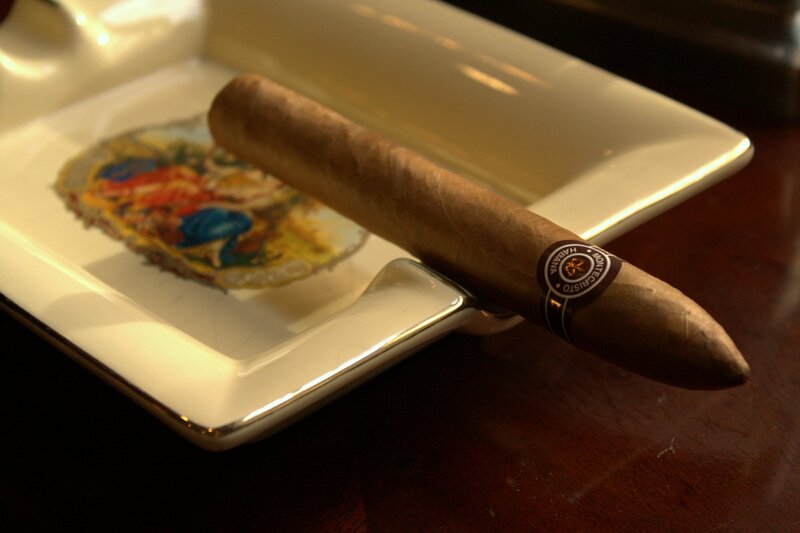 It is frankly impossible to understate the flavor, complexity, and harmony of the smoking experience that the Montecristo No. 2 provides. Purchase these cigars at official Habanos SA kiosks internationally or at popular websites like Puro Express. What was the box date and factory code on the box? These are extremely important details when selecting Mont 2’s, which are over-produced as it is. If you gave this 97 points, the reader should know the vintage otherwise it isn’t a helpful review. Unfortunately in this case that information wasn’t available to me (I didn’t purchase a box). Thanks for the recommendation here though. In the future, I’ll either provide those details, or state that I don’t have them (if I don’t). Often time’s I’m smoking or reviewing these as gifts, so again the info isn’t available. But I’ll try to be transparent about it going forward. The Gold trimmed label was first put on Monty cigars 2013 so you may have had a seasoned one. Normally takes 3 years before smoke-able. Ask the person who gave it to you. Very interesting. Will do, thanks for commenting!